LOS ANGELES (FinalCall.com) - Across the world, millions of people celebrated Michael Jackson's life, legacy, from his contributions to music and culture to his humanitarian efforts with his sudden death. Within a few days of his death more than 100,000 fans worldwide had already posted messages and memories at michaeljackson.com. The Google search engine got so many hits it thought it was under attack and tweets on Twitter's social networking site doubled and caused a temporary shut down. Immediately after news broke of his death, Amazon.com and other music distributors sold out of Michael Jackson's music. Before his passing, the singer had sold 750 million records, including “Thriller,” the best-selling record of all time. He'd already become larger in death even than in life, fans said. It appeared likely that the incredible music sales upon his death would mean Mr. Jackson would dominate the Billboard music chart as plans were underway for his funeral. 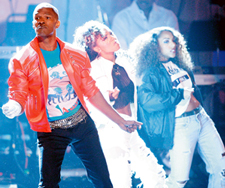 The June 28 Black Entertainment Television Awards Show was quickly altered to honor the King of Pop and his incredible contribution to music, popular culture and national and international charities. His father, Joseph Jackson, was embraced by celebrities when he appeared at the BET Awards to honor his son. The death was difficult for the family, but everyone is fine, said the family patriarch. “He's bigger than ever now, I wish he would have been here to see all this and hear all this,” Joe Jackson said. “I don't like what happened,” he said when asked about the final circumstances of his son's death. There are concerns, Joseph Jackson said. As stars strode the red carpet and were interviewed by CNN, each paid tribute to Michael Jackson. Sean P. Diddy Combs said Mr. Jackson was “a hero for African Americans. He changed my life, he made me believe anything is possible.” Songstress Alicia Keyes, who accepted a humanitarian award for her work in Africa, said Mr. Jackson inspired her music and her philanthropy. Nichelle Nichols, who starred as Lt. Uhuru in the TV series Star Trek, said Mr. Jackson represented going beyond limitations and going into new frontiers. Shari Shephard, co-host of “The View,” described her childhood fantasy of marrying the singer wearing matching jumpsuits. 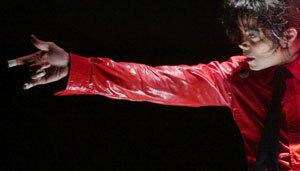 When Mr. Jackson went into cardiac arrest on June 25, he was set to embark on his “This Is It” world tour. More than one million people had purchased tickets and 50 concerts at London's O2 arena for his July 13 to March 6, 2010 appearances were sold out. Like other places around the globe, fans set up a makeshift memorial to the superstar outside the family compound, leaving cards, candles, balloons and pictures. The investigation into the death was ongoing with the toxicology results from the autopsy by the L.A. coroner said to be due back in weeks. A family attorney said results from a second autopsy were pending. Police said Dr. Conrad Murray, a physician who had been treating Mr. Jackson, was questioned about his death but had not been named as a suspect at Final Call presstime. It has been reported that Mr. Jackson was injected with the painkiller Demerol just before his death. 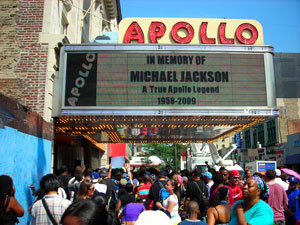 The London concert promoter said Mr. Jackson had the company hire Dr. Murray. “When did the doctor come? What did he do? Did they inject him, if so with what?” asked the Rev. Jesse Jackson, who was with the family and shared some of their concerns with the media. “He owes it to the family and to the public to say, ‘These were the last hours of Michael's life and here's what happened.' That's a reasonable expectation,” said the civil rights leader, who featured the Jackson brothers in a Black Expo early in their career. While the mainstream media focused on eccentricities, Black America and fans worldwide celebrated his life and music—they danced in the streets of his hometown of Gary, Ind., and moon walked, his signature dance move, in the streets of London. As the family sought answers about his final moments, former business associates, advisers and friends questioned the role of some doctors in Mr. Jackson's life and charged they had enabled an addiction with prescription drugs. Mr. Jackson was treated for a prescription drug problem in the past. Dr. Murray, however, denied injecting Mr. Jackson with any drugs. The doctor said Mr. Jackson had a faint pulse when found in a rented L.A. mansion. Deepak Chopra, a qualified cardiologist and spiritual guru, bitterly complained on CNN about doctors that attached themselves to Mr. Jackson and other celebrities by hooking them on drugs and feeding their addictions. Prescription drug addiction, not street drugs, is a major problem and needs to be dealt with, he declared. The sudden passing of music legend Michael Jackson stunned the world but many took comfort in the good times the music legend brought into their lives. The Farrakhan family and the Nation of Islam were supporters of Michael. Above is Mother Khadijah Farrakhan, First Lady of the Nation of Islam, and the Honorable Minister Louis Farrakhan with Michael. “Michael Jackson, the archangel of music, song, and dance transcended nationality, ethnicity, race and culture to unite human beings of every color, persuasion, and endeavor into one great bond. The flesh and its troubles have died, but, Michael Jackson Lives!” said the Honorable Minister Louis Farrakhan of the Nation of Islam and publisher of The Final Call newspaper. President Obama wrote a personal letter to the Jackson family as the aftermath of Michael Jackson's death saw worldwide outpourings of tributes and vigils, with stars, world leaders and devotees of the pop icon offering praise to the man who sold more than 750 million records. Legendary Motown founder Barry Gordy paid tribute to his young protégé on CNN as did singer Smokey Robinson. Quincy Jones, who produced the hugely successful “Off the Wall” album that heralded Mr. Jackson's 1979 adult solo success, praised Mr. Jackson's talent and drive for perfection. “I can't stop crying, this is too sudden and shocking. I am unable to imagine this. My heart is hurting. I am in prayer for his kids and the family,” said singer Diana Ross. “My heart ... my mind ... are broken. I loved Michael with all my soul and I can't imagine life without him. We had so much in common and we had such loving fun together. I was packing up my clothes to go to London for his opening when I heard the news. I still can't believe it. I don't want to believe it. It can't be so,” said actress Elizabeth Taylor, another longtime friend. The Jackson magic, however, crossed generational lines with his 40 years of show business success that spanned from the soul music era into age of hip hop. “He broke barriers, he changed radio formats. With music, he made it possible for people like Oprah Winfrey and Barack Obama to impact the mainstream world. His legacy is unparalleled,” said hip-hop artist Usher. “The incomparable Michael Jackson has made a bigger impact on music than any other artist in the history of music. He was magic. He was what we all strive to be. ... I love you Michael,” said Beyonce, the R&B singer and actress. “My prayers go out to the Jackson family, and my heart goes out to his children. Let us remember him for his unparalleled contribution to the world of music, his generosity of spirit in his quest to heal the world, and the joy he brought to his millions of devoted fans throughout the world,” said singer Mariah Carey. Mr. Jackson's friend and attorney, Tom Mesereau, told The Final Call he learned the sad news while he was in a jury trial. “He was a very kind, gentle, good hearted person who wanted to improve the world. He tried to do it through his genius-like music and his kind spirit. He was one of the nicest people I ever met,” Atty. Mesereau said. Like many Michael Jackson fans, Guy Black, a radio host and producer at 102.3 FM KJLH in Inglewood, Calif., chastised mainstream media outlets for harping on controversial aspects of Mr. Jackson's life. Early on, he said, there was a difference in Black radio and Internet tributes compared to mainstream outlets. In its rush to be the first agency to report Michael's death, Mr. Black said, TMZ, the celebrity, gossip and entertainment news website, disregarded the Jackson family and officials' attempts to inform the family first. Especially immediately after his death, many mainstream outlets reported on his record-breaking songs, like “Thriller,” and humanitarian efforts. But those angles were nearly swallowed by rumors of drug addiction, and charges that he was a child molester—despite Mr. Jackson's acquittal on such charges when a case went to court. “Well, the media can be very mean-spirited. They tend to thrive on shock value and pain. But remember, he was exonerated by a very conservative jury of all charges. He was acquitted of 10 felonies and four misdemeanors. It was a complete vindication and his wonderful memory should not be clouded by that,” Atty. Mesereau told The Final Call. “My greatest memory of Michael Jackson is walking with him on the grounds of Neverland and realizing how much he loved the human race; how much he loved children, particularly inner city children and disabled children; how much he liked to see people succeed, improve their lives and do well. He had a very unique approach to the world. He wanted to heal it through music and kindness and he did just that,” Atty. Mesereau added. “When I think about his meaning and significance on mainstream television, on which I've appeared of course, some of them are focused on some of the so-called oddities of eccentricities but we know the depth of his genius … he was deep into understanding his history,” said scholar and author Michael Eric Dyson, of Georgetown University, during an interview with KJLH-FM radio host Dominique DiPrima in Los Angeles. “People have to remember that he was a prodigy at four-to-five years old. Folk would have to think back to the great composer, Mozart, to understand what that means. It meant a great impact by Michael Jackson and his brothers. “They were signed in 1968 and their album hit in 1969, making him and them part of a post-Civil Rights generation. He brokered the acceptance of Black musical styles for the world,” Dr. Dyson said. Then, he said, in 1982-83, Michael Jackson became the first Black artist to have a video played on MTV, a cable network that which went on to make millions of billions of dollars on the voices of Black artists. Many, though, were puzzled by changes to Mr. Jackson's physical appearance, which he attributed in part to a disease that made his skin grow whiter, and facial features that grew thinner. Dr. Dyson said the entertainer, like many people, struggled with the meaning of Blackness in a society that punished him for it. “He became a global phenomenon because of his art and what he did with his body and his music. That was incredible for a young working class man, poor man often, from Gary, Ind., as a child he was a man and as a man he was a child … that's part of the contradiction,” Dr. Dyson said. Before Live Aid benefit concerts, Mr. Jackson and Lionel Ritchie wrote “We Are The World,” Rev. Dyson noted, and started a global movement of artists using their talent and music to defend the vulnerable. “When you think about the work, not just the big stuff, but Ryan White, the young White kid who died from AIDS, nobody wanted to touch him, but Michael Jackson was the first one to embrace him publicly and he brokered acceptance for people who were treated like lepers,” Rev. Dyson said. •He donated $1.5 million to the Michael Jackson Burn Center for Children at the Brotman Memorial Hospital, where he received treatment after being burned during the production of a Pepsi commercial. •In 1988, proceeds from his Man In the Mirror song were donated to Camp Ronald McDonald for Good Times, a camp for children who suffer from cancer. “We mourn and send our condolences out to his family and all of those who loved him and grew up with him, he's going to be truly missed,” said Student Minister Tony Muhammad of the Nation of Islam in Los Angeles. 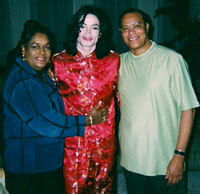 Mr. Muhammad spent time with Mr. Jackson during his 2005 molestation trial. “He said, ‘Bro. Tony, since I was eight years old, I've lived a sheltered life. I couldn't go anywhere. I became very popular around 8 or 9 years old.' Here's a young brother who had never seen the inside of a bank. He's never been inside of a grocery store. He hadn't gone to any amusement parks because he was so popular. He couldn't do anything,” Mr. Muhammad said. No one understood the inner fight, the turmoil, Mr. Muhammad said, of a man who never had a childhood, but wanted to live a simple life. “He wanted to become a great humanitarian and he was. This man had the love of people like I've never seen. He wasn't color struck, and had a great love for all people,” Mr. Muhammad said. Mr. Muhammad recalled when Mr. Jackson realized that some who were guiding his career wanted to keep him away from Black people, and how displeased he was by that. “When he came around us, he started taking the (negative media) hits, but he wanted to learn as much about who he was, and his history,” Mr. Muhammad said. According to Mr. Muhammad, Mr. Jackson wanted to go all over the world in search of knowledge and had many goals for Black and oppressed people. He was very instrumental in helping to reach out to gang members, and oft times, he donated money to families of victims of violence without anyone knowing. He wanted it that way, Mr. Muhammad said. Questions remain about the status of Mr. Jackson's estate, his debt and his ownership of Sony/ATV Music Publishing, and who will take custody of his children, Michael Joseph Jackson, Jr., 12; Paris Michael Katherine Jackson, 12; and Prince Michael Jackson II, 7. The first two children were born to Mr. Jackson's former wife, Debbie Rowe, and the youngest child was born from a surrogate mother. The children were under the care of the Jackson family at Final Call press time and Mr. Jackson's parents had moved to control his estate. Sony/ATV Publishing, a 750,000 song catalog that includes Beatles hits, and songs by such artists as Bob Dylan and the Jonas Brothers was reportedly worth $2 billion. Mr. Jackson was reported to have mortgaged some of the collection. Then there is his ownership of his own master recordings which some estimate could put his estate at $1 billion. Reports of his debts were listed as high as $400 million by the media. “The rehearsals at the Staples Center in Los Angeles were taped by concert promotion company AEG Live to produce an album and DVD of what Jackson had billed his ‘final performance' tour called ‘This Is It,' according to Sharon Waxman of the Hollywood blog TheWrap.com,” the Daily News reported. “One AEG official boasted to a colleague this weekend, ‘We have a live album in the can,' Waxman writes,” the Daily News article said. The full rehearsal was described as “electric,” went on for several hours and consisted of dancers, musicians, aerial performers, was shot with multiple cameras and “could be used to produce surround-sound DVD and audio products,” the Daily News said. “Randy Phillips, president and CEO of AEG Live, the nation's second largest concert promoter, emailed that he would not comment for the story. ... AEG Live may stand to lose millions due to the unexpected cancellation of Jackson's 50-show London concert series, but potential earnings from recordings of the star's final moments could offset the losses—and then some,” the article concluded. » What is the Meaning of Independence?